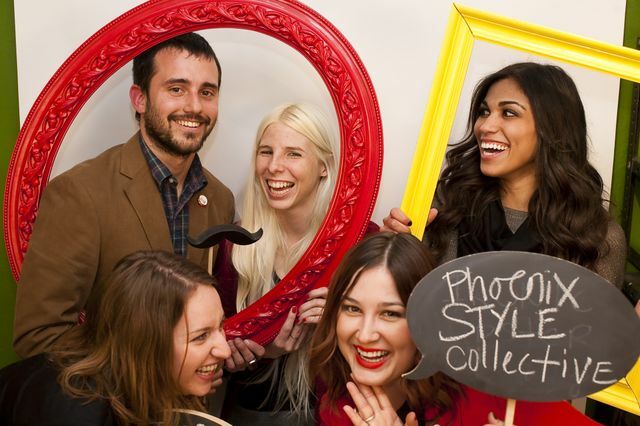 I woke up this morning to a fantastic surprise, me & the rest of the Phoenix Style Collective crew were featured in 1100 Magazine's Paradise Valley edition. If you'd like, check it out - click here! The reporter, Sarah Brue, has a fabulous blog as well if you have a few moments to wander over and say hello. Congratulations! That is such great exposure for you guys! I can't wait to see the rest of the photo booth pics. Hopefully we'll get to see them soon. Way. Too. Awesome. You guys are getting recognition all over!